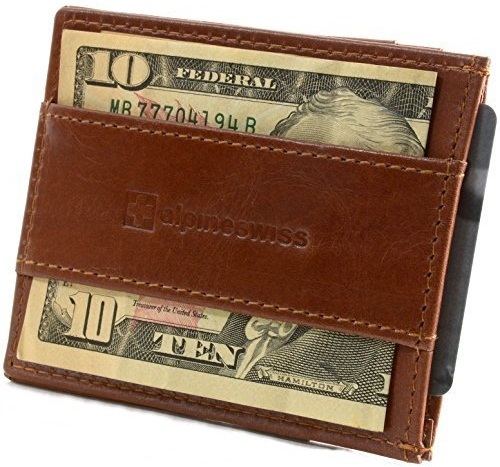 Front pocket wallets are very good additions to the traditional wallets that men carry. 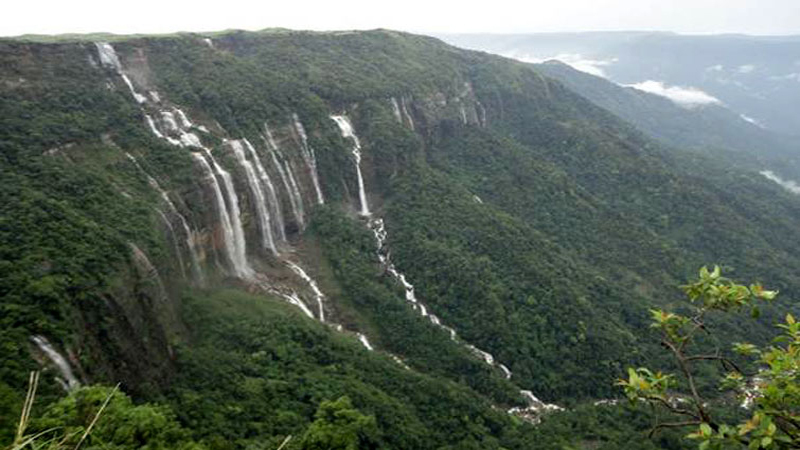 They serve the purpose of quick access to items and can be kept in the shirt pockets as well as the trouser pockets. Let we have to look at the top 9 front wallet designs. 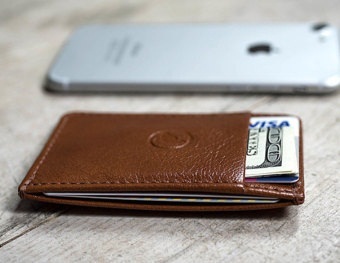 This is a very minimalist wallet for a man that has a slim feel. The wallet has a single pocket for cards. 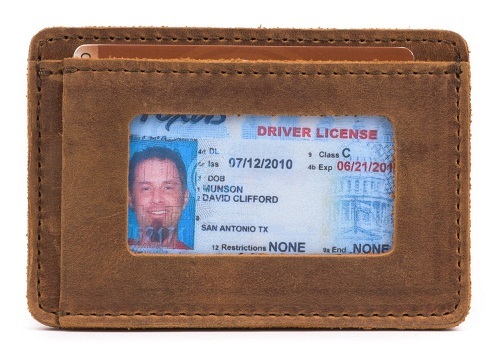 The other pocket is on the front of the wallet for bills or other papers. It is a very neat pattern and something that will fit in easily in any pant or trouser pocket or even the shirt pockets. 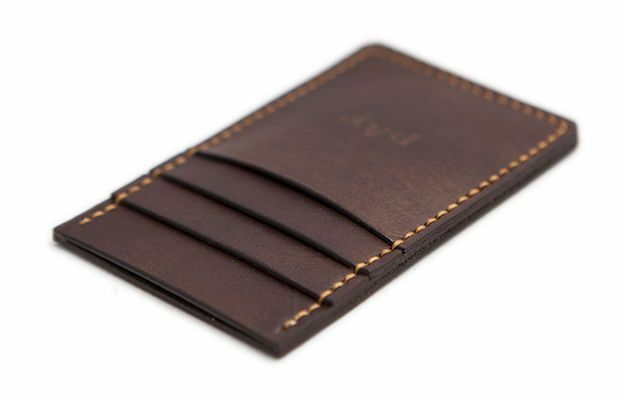 Here is another version of the slim front pocket wallet. This wallet has two card slots in the front for holding some more cards that you may have. The tan color of the wallet is very charming. The bills compartment is also available in the front along with one in the centre of the wallet. 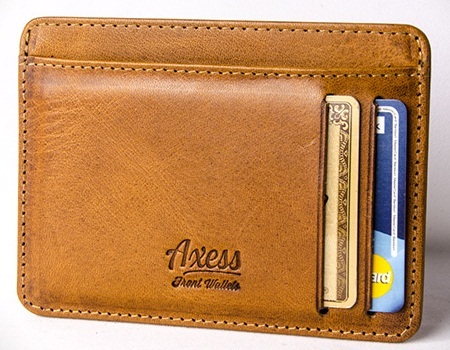 This is a saddle back leather wallet with a front slot pocket for keeping your ID card. It has a clear plastic lining that helps you to show your ID card wherever needed without having to remove it from the wallet. This makes it very convenient and useful. 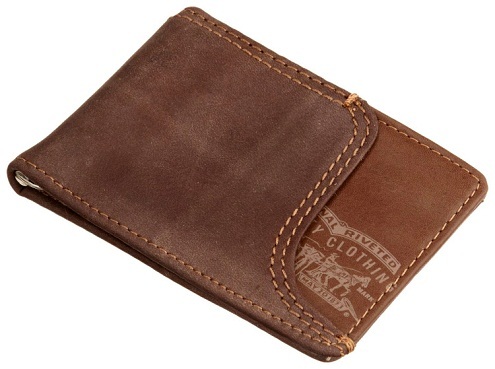 Get this awesome product made in genuine leather that has a front pocket for cards. The added advantage of this wallet is the money clip in the front that lets you hold bills that are folded. The money clip has powerful magnets to hold the bills in place. A front pocket wallet is always convenient for quicker access to your stuff. The front pocket wallet shown here has a strap that holds bills instead of a clip. The strap is broad enough to hold the folded bills wonderfully. This is a slim wallet and so can fit in very well even in a shirt pocket. 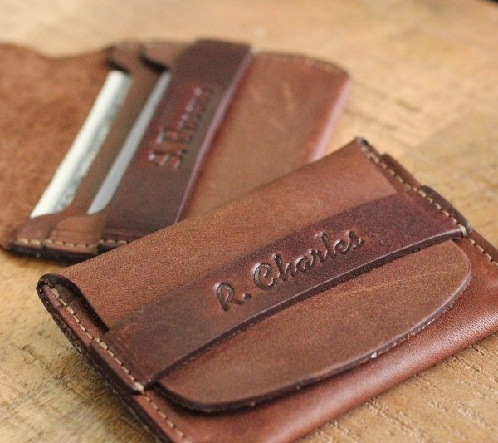 This awesome manly wallet is the ultimate in front pocket wallets. The wallet made in superior leather has a rough finish and looks very masculine. The front pockets of this wallet are sealed by a flap that gets tucked in a strap in the front. 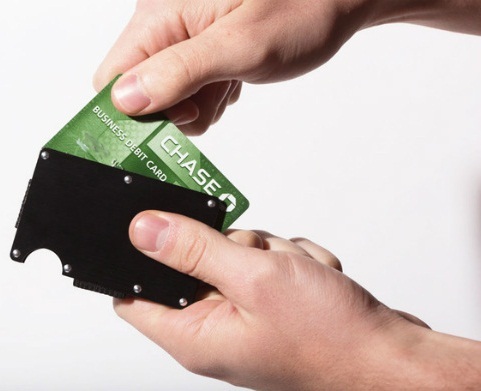 There are two card slots in the front to hold your credit cards. Here is cool version of the front pocket wallets. This wallet is in a rectangular shape and has three card slots in the front. 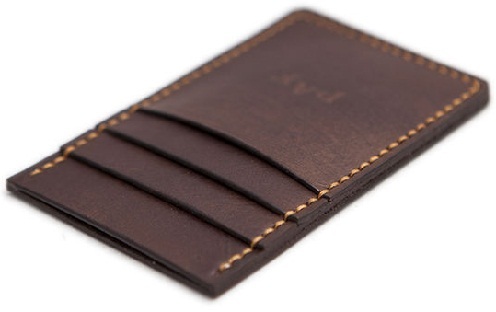 The wallet is made in good quality leather and the stitching on the edges is very sophisticated. 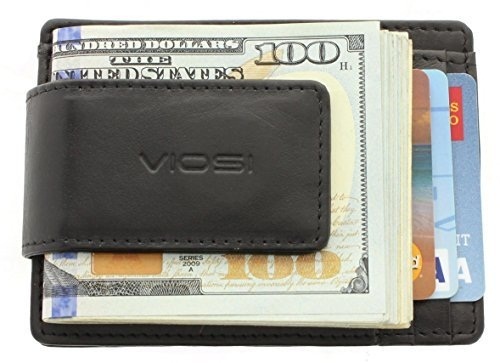 The wallet is slim and holds bills in the center compartment. This a wonderful addition to hold your stuff and keep them handy in your shirt pocket too. This is a cool designer front pocket wallet that has a wonderful curve shaped opening for the slot. The logo is printed on the inner side of the front pocket and can be seen by the curved opening. The pocket can hold cards and bills alike. Select this designer wallet to show off your trendy side. 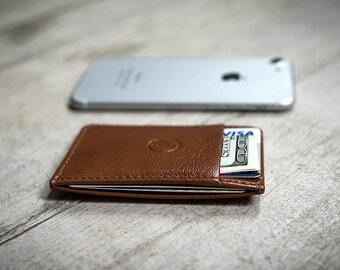 Here is a modern take on the traditional wallet. The metal wallet is designed like disc holder. 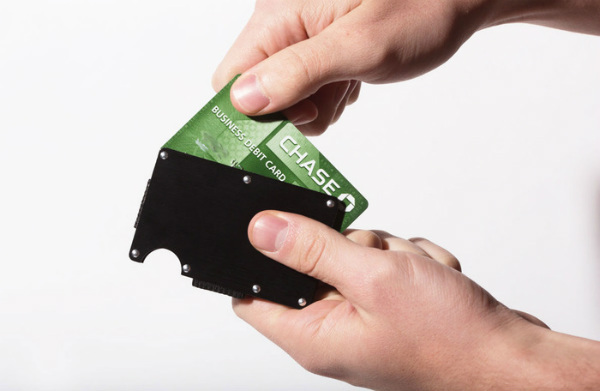 The front pocket wallet in metal holds credit cards and bills. This wonderful trendy style front pocket wallet is best for today’s generation kids who are very much into the technology mode. Front pocket wallets come in colors ranging from black to tan and brown. The leather used here is of high quality and the detailing is minimalist. Select this wallet for its ease of use.